I was going to be a millionaire at Sam Goody? I remember when I was young. I was going to be the CEO of some large Corporation, make lots of money never get married and definitely never have children! My mother was divorced before I was 2. I did not have much contact with my father, (and that is a generous statement). After the divorce she lost her house. We bought our sneakers right before school at Sears, I wore my brother’s hand me downs and we ate pancakes and meatloaf once a week for dinner to make things stretch. I shared a room with my sister until we were teenagers and 1 bathroom with 4 of us. We were raised to be strong! We did not need a man to make us whole. I was taught some important lessons growing up, hard work and determination! No one was going to do it for you, no one else would pay your bills, no one else was responsible for my actions. And whining about it would get you nowhere! Even through college I believed I would be a single woman. By then I think I had given up the CEO idea but there were still no children in my future. I worked hard not to ever let anyone get too close. OF course we all know how these things go, a few years, pass things change.After college I took the first job I was offered because I had loans to pay back. 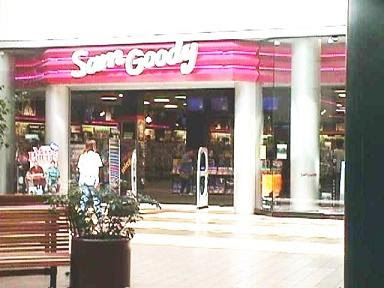 My four years in college landed me a job at Sam Goody Music making $15,500 a year! I lived with my mother for several years paying her a small rent and saved as much as I could. I will not say that when I met Frank he was the man of my dreams, quite the opposite actually. We worked together and to put it mildly, we did not get along.Over time we both moved up in the company and no longer worked in the same store. I guess he missed me because one day I got a call asking me on a date. I thought it was a joke but went anyway. 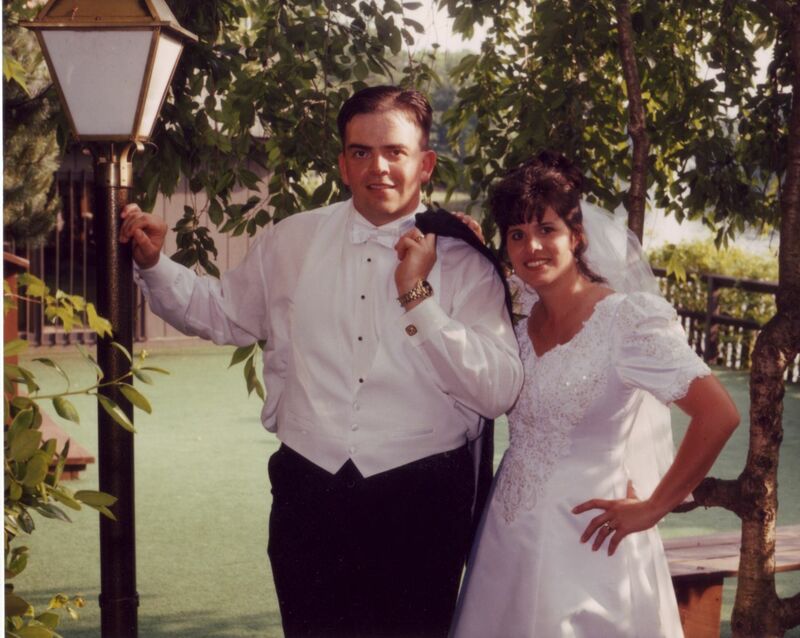 One thing lead to another and 17 years later , (14 years married) here we are. It was not easy of course. Friends laugh still shaking heads as to how we manged to make it through the dating period. Frank was never smooth, he did not have any money but what he had was a simple ability to make me laugh. Life is a struggle, laughter does not always come easy. I remember going out one time and having to be lifted through the passenger window of the car because the doors would not open. Not even sure if it was safe to be driving around in that car. It was like something out of Dukes of Hazard. It was always unpredictable and always interesting. When we got married we lived in the house that Frank had grown up in. He had lost his parents years earlier. It was a real fixer upper but it was our little piece of the American Dream. We lived check to check and struggled. We both worked very hard. So hard that sometimes we forgot the laughter that brought us together in the first place. We had issues, who doesn’t. Over the years we both moved up in our careers and with that came more money. We moved to a bigger house, bought more toys and worked even harder. I had been lucky to join Best Buy as they were growing. They were about to open the first 5 stores in our area, I took a pay cut to join a growing company. I remember the job offer, $9.75 and hour and oh by the way you need to pass a drug test. I took it and worked even harder. 7 days a week often before the store was opened.Hard work brought great reward, with in a year I received my first promotion followed by several moves in the next few years. I did very well with BBY staying with them for a little over 10 years. We no longer worried about paying the bills, we had lots of “stuff” and had a few dollars in the bank.